Do you have a game idea that requires a randomizer with custom icons and a D6 just isn’t cutting it? 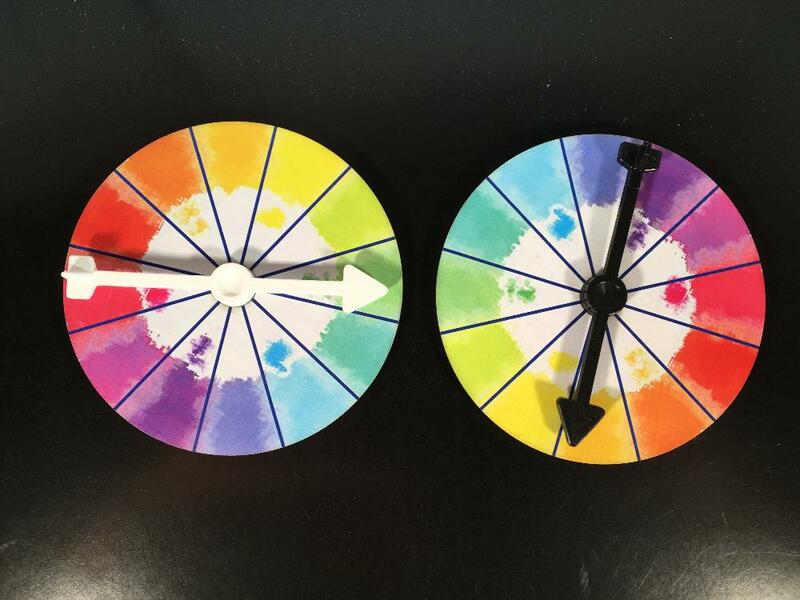 Consider making a custom spinner! Previously, the only spinner available at the Game Crafter is an 8” mat made of cardstock. With the new custom punchout option, spinners can now be made of sturdy chipboard, in many sizes and infinite shapes. Spinners come as two pieces that snap together. Our spinners are 2.73” long, making them a great size for a 3” spinner tile that can fit on the Small Punchout such as the watercolor spinner below. The ideal hole size for a spinner is 0.38”. Once assembled, our spinners can fit two layers of chipboard. Note, if you choose to make a two-layered spinner, ensure that the top layer does not catch the spinner as it may wobble while spinning. 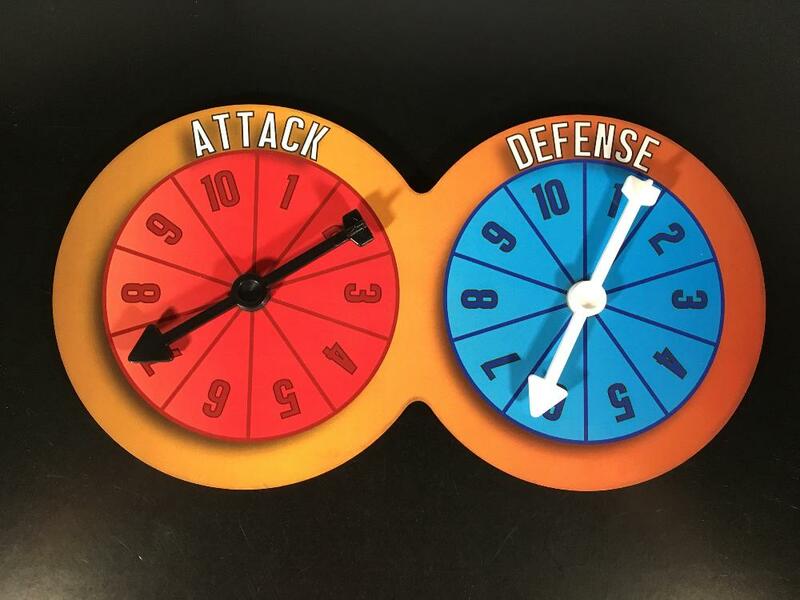 2-layer spinners can be used for a variety of game features. 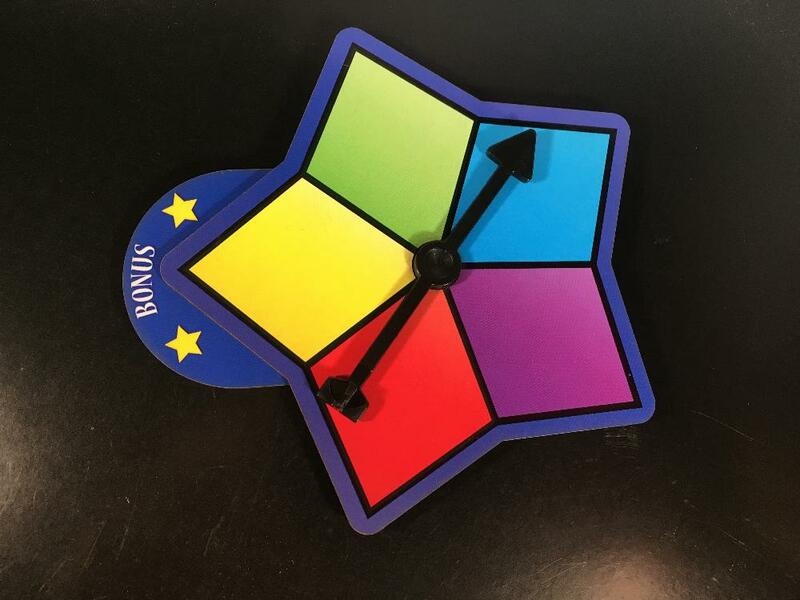 The sample of the star spinner below shows how a bonus tab can be added that has the ability to rotate to change which color is the bonus throughout a game. 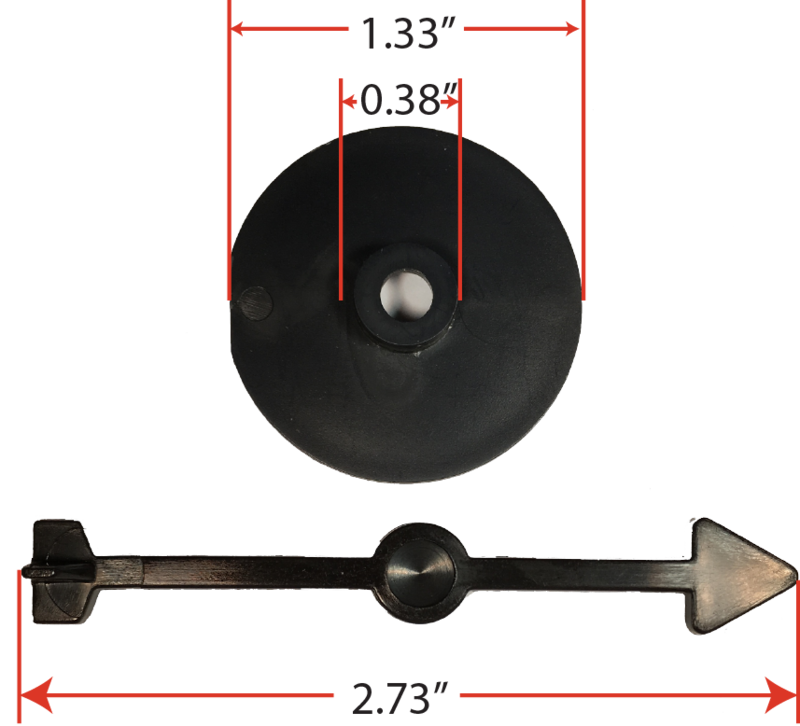 By using the medium or large custom punchout, more complex spinners can be created, such as this dual spinner that fits on a medium slug.